The basis of modern day pharmaceuticals is herbalism – a long-standing tradition upheld in multiples cultures. The use of herbalism is becoming more popular owing to the progress in quality control and chemical analysis technology. Medical research has also been conducted to prove the use of herbal medication to treat multiple diseases. For millenniums, Chinese herbal medicine has been used as an imperial part of Traditional Oriental Medicine. About 15,000 herbal medicinals have been analyzed and studied for their effects on the human body. 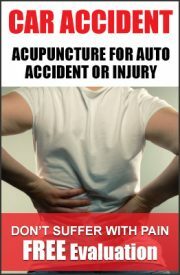 Plants are not the sole materials used in Chinese medicine. Even animal sources and minerals are included. In order to progress the clinical use of herbs, generations have accumulated plenty of experience in the field. It has been discovered by Chinese clinical studies that the use of herbs can greatly improve the effectiveness of modern medicinal treatments. Herbs also decrease side effects and at times even replace modern day drugs in cases when a patient can no longer consume them. According to the World Health Organization, 80% of the population of the world depends on herbs as part of their personal health care routine. There has been dramatic increase in the number of people who take herbal medicine these past 20 years due to the hike in prescription drugs’ prices and a growing interest in natural remedies with little to no side effects. The Materia Medica is a detailed book about Chinese herbs that discusses about their uses, properties, indications, applicable patterns, dosages, and contraindications. It also includes detailed information about herb-drug relations and discusses published scientific and clinical research. Each herb’s properties are noted in terms of the effect they have on distinct meridians and organs. The disharmonic patterns, as well as the pathogenic factors present, are also addressed. In contrast to Western herbs, Chinese herbs are formulated by the measure of the patient’s condition (fortifying in the wake of weakness while removing pathogenic factors). This is precisely why Chinese medicines are addressed as ‘formulae’ and not just by the name of a single herb. Every herbal ingredient works a certain purpose to treat the illness pattern. 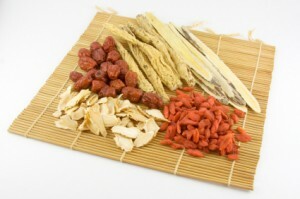 Commonly, Chinese herbs are taken in the form of decoction. 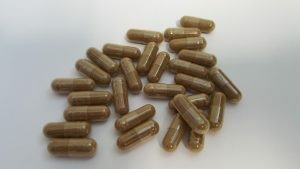 Recently however, more and more people take Chinese herbs as pills, capsules and powder. At Chang’s Acupuncture & Herbs, herbs are prepared as decoction, capsule and pills by our staff. Certified to be devoid of harmful substances, pesticides, and heavy minerals, all herbs are produced strictly following Good Manufacturing Practice (GMP). To ensure the quality of the herbal medicines, it is vital to obtain them from a professional herbalist. Retail stores stock fake herbs that do not provide the full potency or the same benefits. If you have any questions regarding our herbs or your health benefits using Chinese herbs, please feel free to contact us.